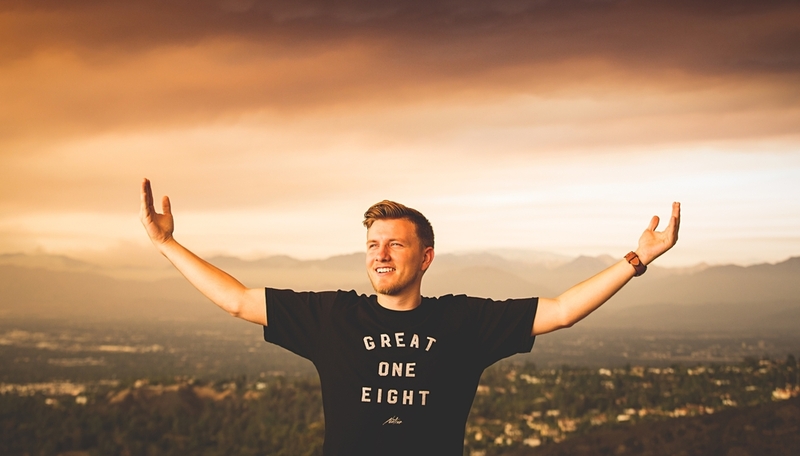 (We are donating 10% of every shirt sold to those in need in the 818). Designed and printed locally, this shirt echoes the popular rustic typography seen in more urban areas in the valley. Old boxing rings on Sherman Way and OG 80s smoke shops on Reseda relied on custom typography by talented sign painters. This is a tribute to their influence and that style. Photographed during the SCV fire. Resident photographer (and friend) Kamilo Bustamante picked a visually opportune day to shoot. This photo series in so many ways captured both the influence of those fires, but more importantly it brought Native Valley dwellers back to the days when issued smog alerts were commonplace. What is iconic in the Valley? What's that thing we all can relate to collectively? Oddly enough, it's the streets we travel on. Driving west on Ventura Boulevard from Calabasas, and then East through Studio City, you go through very different neighborhoods all connected by one street. Seeing all of our streets in one area through typography is an interesting depiction of what connects all of us every day.